MAX IP is the industry’s first fully expandable SIP based VoIP tabletop conferencing phone. 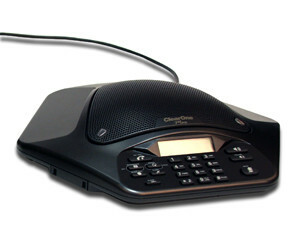 This audio conferencing phone delivers unrivaled conferencing audio and room coverage. Superior Audio Performance advantages include high quality, full-duplex sound, distributed Echo Cancellation®, noise cancellation, and automatic audio balancing level controls. With Clear One’s legacy HDConference® audio processing technology, SIP features, and the ability to daisy-chain up to four phones, the MAX IP delivers outstanding audio conferencing value.